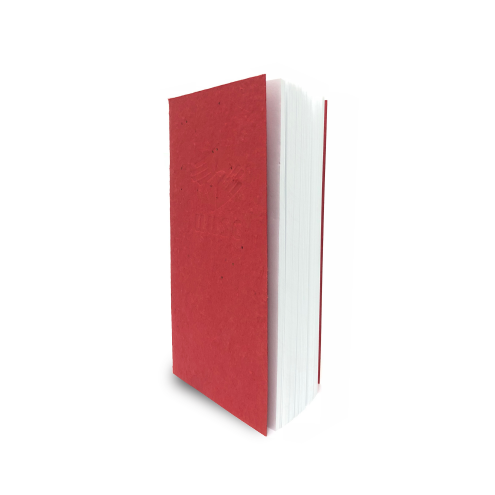 SJN-L is the largest of our Notebook journals. 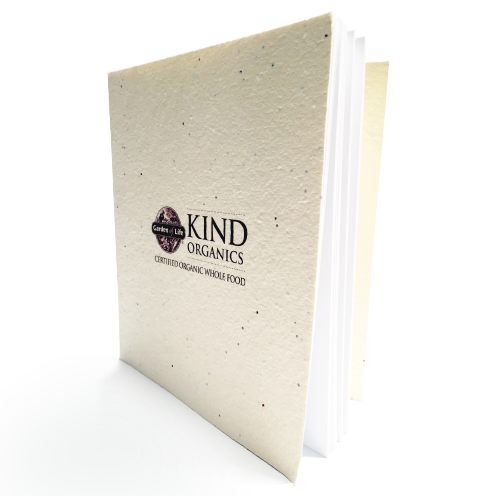 The entire cover is made from recycled, biodegradable seeded paper and perfect bound on the top or side then filled with recycled, unlined paper. When the journal is full, your customer can plant the cover to grow herbs or flowers. 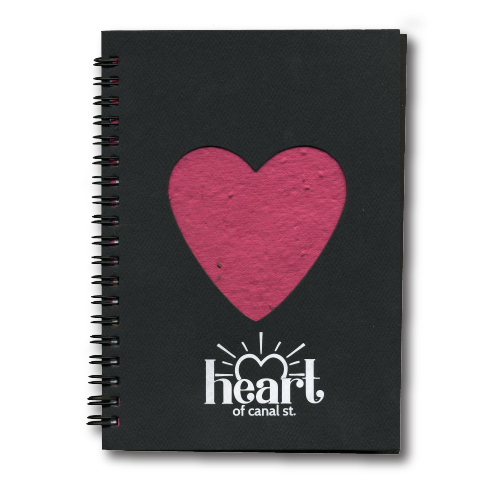 The price includes a full-color imprint on the front of the journal. 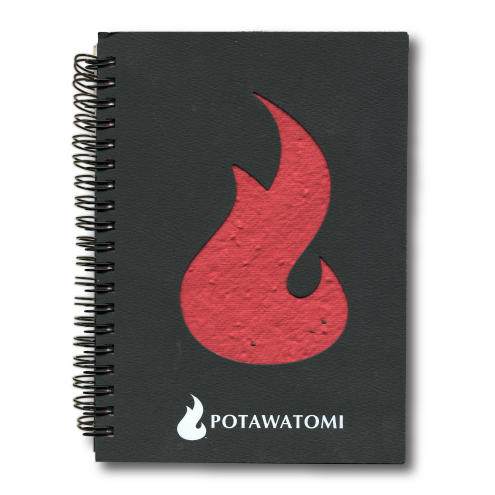 The price includes a full-color imprint of your logo on the front. 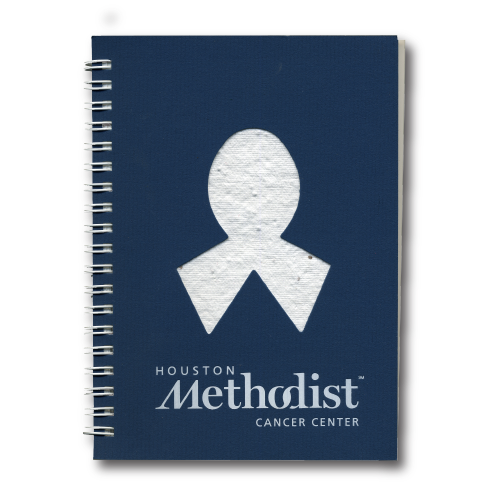 Each journal comes with a 2″ x 5.25″ bookmark imprinted with planting instructions and your logo.